Medium size crystals, works perfectly in all types of litter boxes. A hint of strawberry for added odor control. This is a feature we insist on with any product we carry. There are too many brands out there that cut corners in the manufacturing process and deliver a product that throws off a lot of annoying dust and does not last as long as it should. Silitter is produced by one of the largest and most reputable factories in China. The medium size crystals in Silitter are specifically designed to work in all type of litter boxes, automatic (electric) as well as standard. Highlighted by the strawberry colored crystals added for visual appeal, there is also the slightest hint of strawberry scent for added odor control. 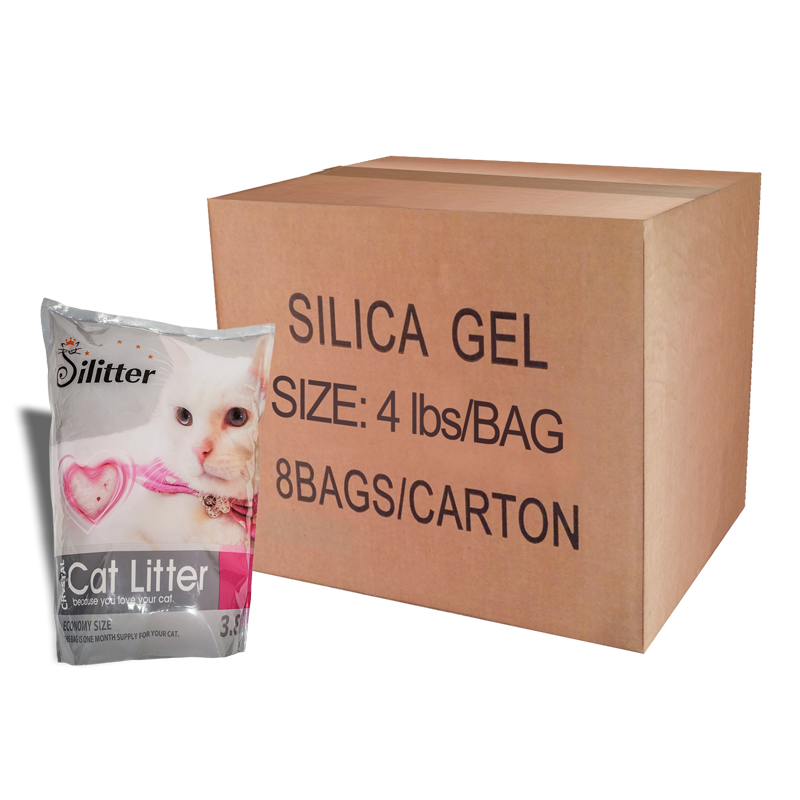 Silitter is available only in 4 lbs. bags and is sold by the case (eight 4 lbs. bags). 32 lbs. Silitter in 4 lbs. bags.